Europe is taking on Russia's mighty energy giant Gazprom. Within the next few weeks, the European Union will release the findings of its antitrust investigation, according to EU energy chief Maros Sefcovic. Europe has accused Gazprom (GZPFY) of using its dominant position to manipulate prices and hinder the free flow of gas across the continent. The EU has been investigating Russia's state-controlled Gazprom's pricing practices for over two years and if it decides to bring forward charges, a long legal battle is likely to follow. Any damaging findings against Gazprom could further worsen the Russia-EU relationship, already fractured over the conflict in eastern Ukraine. Gazprom is the world's largest natural gas producer and the crown jewel of Russian economy. 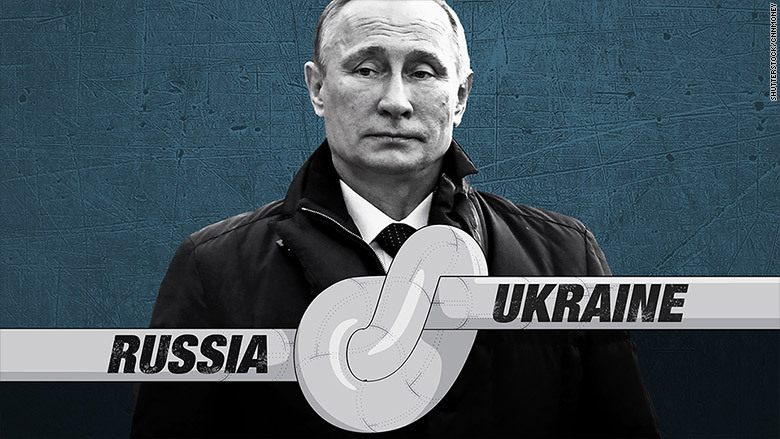 Russia has used gas as a weapon before, cutting off supplies to Ukraine three times in the last decade. President Vladimir Putin has warned this week that Gazprom could turn off the taps again. A new dispute could have a knock-on effect on Europe. About a third of the EU's natural gas comes from Russia and 15% flows directly through Ukraine. "Europe is nervous of Putin's reaction and the possibility that he will act on a threat to reduce supplies," said David Clark from the Russia Foundation. 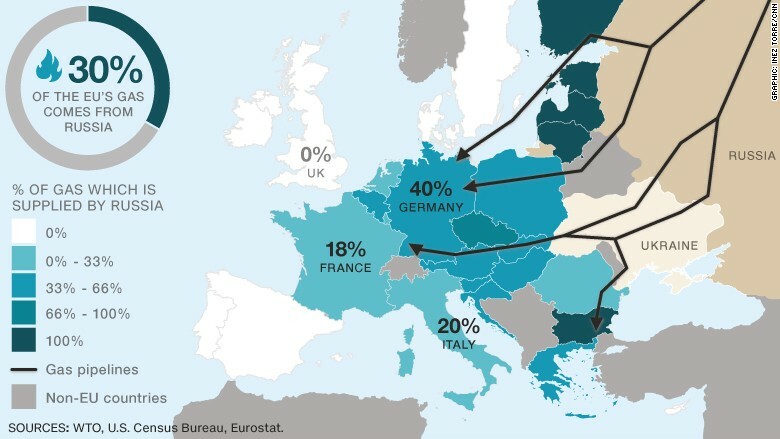 Europe is dependent on Russia's gas. Europe's gas dependency on Russia has complicated the conflict between Moscow and the West -- some countries have been reluctant to push for tough economic sanctions against Russia in the past due to fears of an energy war. But Europe has a couple of advantages this time around. Energy prices are tumbling and there is no shortage of gas in Europe. This year's mild winter means Europe has been able to stock up -- enough that if needed, the bloc could provide Ukraine with emergency gas supplies. Earlier this week, Europe announced a plan to build an energy union to become more resilient against such threats in the future.